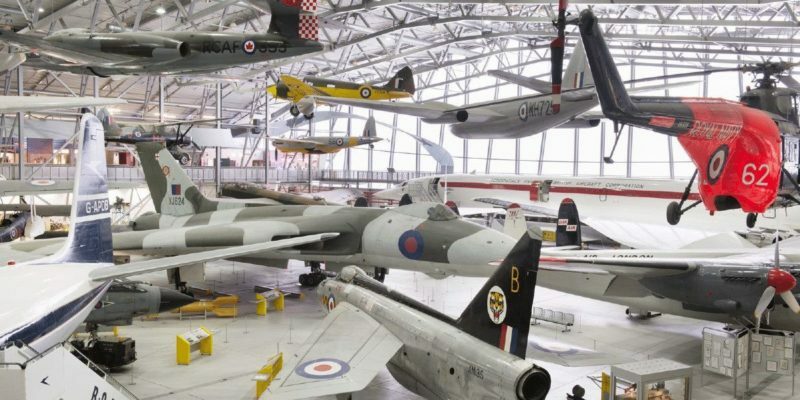 Imperial War Museums have been working with Axiell on a project to improve the way they manage their vast digital assets. This case study looks at how IWM used Axiell’s DAMS to support their digital strategy and overcome their key digital asset management challenges. Founded over 100 years ago, Imperial War Museums are a family of five museums operating across London, Manchester and Duxford. IWM’s collections cover all aspects of twentieth and twenty‐first century conflict involving Britain, the Commonwealth and other former empire countries. Their collections stretch from the everyday to the exceptional. They contain some of the most important technical, social, economic, political, personal and cultural artefacts relating to Britain and its role in twentieth‐century conflict. The scale, depth, breadth and range of media – art, film photographs, sound, new media, writings and objects – contain the reactions, memories and stories of the whole of society. IWM have over 33 million unique items in their collection, with over 23,000 hours of film material and hundreds of thousands of photographs. This is increasing daily with the acquisition of born digital assets and the continuation of the digitisation of their collections. Working at this scale bring new challenges – for example, their videotape scanning project will generate 900TB of data over four years. IWM wanted a Digital Asset Management System that would support not just digital access and commercial needs but was also responsive to the museum’s preservation responsibilities, and able to cope with the demands of a large and growing collection in an increasingly digital world. That meant dealing with a high through‐put of digital assets, the ability to convert multiple media formats, a simple user experience, and the flexibility and scalability needed to adapt to any future requirements – for example, when managing the ingest and storage of video, a change from the 2k to 4k video resolution standard results in the quadrupling of the file size. IWM use Axiell DAMS to manage digital assets across the organisation, and this links directly with their collections management system, Adlib. Digital assets are ingested using machine processes, which allows the use of industry standard unique material identifiers (UMIDs) and secure read-only storage. Metadata extraction and data rules at ingest streamline the technical management of assets by providing key data about how they can be used. Regular expression validation of filenames against Adlib object catalogue numbers ensures that the assets are instantly associated with the rich contextual and management data already input by curatorial and collections teams. The seamless integration means that IWM staff are able to access ingested digital assets associated with an item in their collection either by searching within Adlib or from any platform associated with an Adlib API, for example the Collections Online website. It’s this that makes digital assets accessible globally and provides the foundation for IWM to create more engaging digital experiences. “One of the things we’ve immediately noticed with our new DAMS is the speed at which we are able to work with it. For example, we’ve been able to process multiple terabytes of film material over the last month alone. To put that into context, in the previous months we were averaging about 0.3 terabytes of film material. That’s really exciting for us.” – Rosie Forrest, Collections Systems Manager, IWM. The modularity of Axiell’s DAMS for IWM has meant that it’s incredibly scalable; so, as they look to expand the system in line with changes in technology standards, the number of assets, or their digital strategy, they can adapt the system to suit their requirements. Having the flexibility to meet their needs now and in future goes a long way to ensuring the indefinite preservation of their digital assets and maintaining the integrity of their digital collection. To ensure that the project ran smoothly IWM had a dedicated project team who coordinated timing, budget, infrastructure, technical specification, configuration and testing, ultimately ensuring that the system met the needs of all of its users, whilst supporting the organisation’s broader digital strategy. By working closely together on this project from its planning through to implementation, the two teams from IWM and Axiell were able to deliver a DAMS that met the complex needs of a large organisation, and delivered a system that was user friendly and robust. Posted in Community commentary, Events by mia on October 21st, 2017.